Macallum Connoiseurs wears many hats - one as a cafe, the other as a roastery and finally, as a coffee academy. 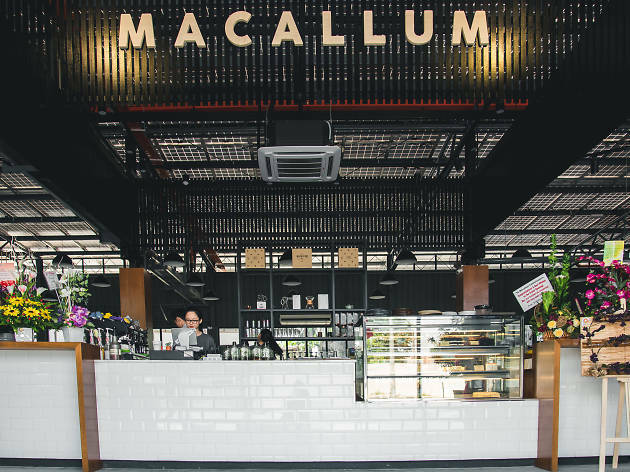 The newly opened Macallum wears many hats – one as a café, the other as a roastery and finally, as a coffee academy. Unsurprisingly, it’s a sprawling space, big enough to fit an entire convention. And unlike the narrow, high-ceilinged architecture of most of Penang’s cafés, this one is spacious and boxy, which goes well with the grey, industrial look. The academy hosts workshops of different kinds where coffee enthusiasts can learn basic barista skills, brewing and latte art. The Macallum house blend is a combination of beans from Brazil, Guatemala and Ethiopia, which produces a mildly sweet espresso with a smooth and gentle body. 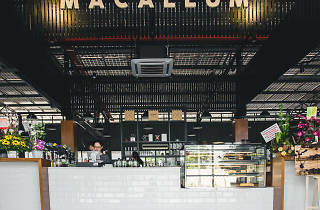 Food-wise, go for the intriguing Macallum Coffee Spaghetti or the smoked duck breast.